“We consider this to be a religious act,” Dan Bostwick said of First Parish’s plan to install solar panels on the Bedford church’s roof. For nearly 300 years, First Parish in Bedford has enjoyed a warm and mutual bond with the town in which it stands. Anchoring the common, the Unitarian Universalist church hosts community events, welcomes all comers to its Sunday services, and frequently serves as a venue for weddings and memorial services — not only for its own parishioners but also for community members who lack established religious connections. But global warming may bring a chill to that relationship. 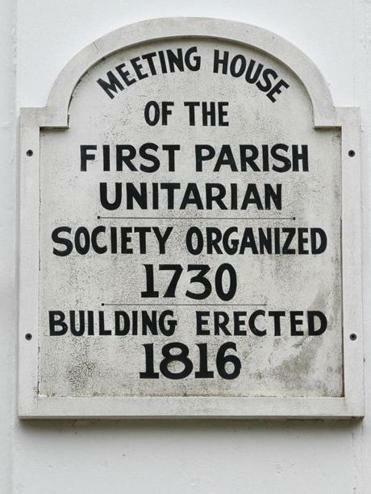 Last month, the town’s Historic District Commission denied a request from First Parish to install solar panels on the roof of its meetinghouse. The congregation, in turn, filed an appeal June 27 in Middlesex Superior Court, arguing that the decision violated members’ constitutional right to freely exercise their religious beliefs. Members of the Historic District Commission did not respond to emails requesting comment. 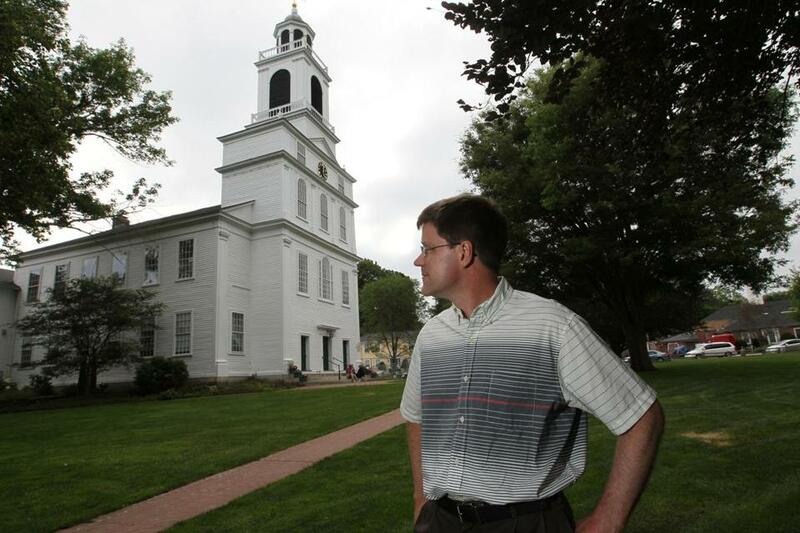 Bostwick, a longtime Bedford resident whose study on reducing the church’s carbon footprint led to the request, said he did not anticipate the outcome. “Our proposal goes to great lengths to balance respect for the historic importance of our building with the wish to reduce climate impact in light of the current environmental crisis,” he said. Given the church meetinghouse’s prominence in the town center, First Parish members knew there would be questions about the visual impact to the 199-year-old building, constructed in 1817 after the parish’s original structure was destroyed by a windstorm. But Bostwick, along with other members of his committee, believes they did all they could to meet any potential objections related to the visual impact of solar panels. The wish to install solar panels isn’t just about saving money on heating the building, the Rev. John Gibbons pointed out. First Parish has already restored the meetinghouse’s windows and installed new storm windows, insulation, and updates to the heating and air conditioning system, according to the complaint. The goal is for the solar panels to generate 75 percent of the parish’s energy needs from the sun — thereby allowing the congregation to remove four gas-fired HVAC units from the roof of the church buildings. Several significant churches located in historic districts in other Massachusetts communities have received permission from their local commissions to install solar panels, according to the complaint, including South Church in Andover. Other groups in Bedford supported First Parish’s plan. Letters of support in favor of the solar panel installation were filed with the Town Clerk by the Bedford Interfaith Clergy Association, the Bedford Chapter of Mothers Out Front, the Bedford Chamber of Commerce, and the Bedford Historic Preservation Commission. The complaint asks the court to annul the Historic District Commission’s decision. First Parish also filed an Open Meeting Law complaint with the commission. “First Parish regrets that it was necessary to file both complaints, and values its relationship with the town of Bedford,” the congregation said in a statement. But the congregation is “committed to pursuing all of its legal rights” to achieve its environmental goals.